First day we were given a tour guide around the premises, we visited the community elementary school, offices for all the administration work, small works for food production, and the cowshed. After the tour we had a meeting where the progress of the project outcome was discussed. Borut Vidmar showed us the new website which was already launched, and together we further discussed about the content that need to be added to the webpage like articles, pictures from the meetings, links, contacts, etc. The Czech filming crew said that they had already visited all the countries of the project partners where they filmed lots of material, which now they need to edit and make the movie. The idea is that the movie should be done with one major message. This film would be an invitation for young people to visit spiritual communities presented in the movie, as they are places where they can learn how to live simply and in harmony with nature. The manual should also follow the uniting concept presented in the movie and web page. In the afternoon we listened to a presentation given by Vilmos Pőcze about the first pillar of sustainability, that is the environmental pillar. He showed us pictures of the property when it was bought 20 years ago and which was barren land mostly. Within 20 years they built houses and other structures and they also planted many trees and plants, and created a diversity of flora and fauna in the botanical garden of the place. This biodiversity is also very good for the soil, because it produces humus, a qualitative top layer of the ground, which enriches the earth with minerals and organic decomposed matter. The community also uses cow dung to enrich the soil. They use several fields for growing grains and vegetables for food production. They also introduced a waste water system in which the water is filtered by a natural system of reed root that is cleaning the wastewater. On the second day we were listening to a presentation about the second pillar of sustainability, the social pillar presented by György Kirs. He spoke about the Vedic concept of social structure, where everybody was engaged according to his nature to contribute to society. 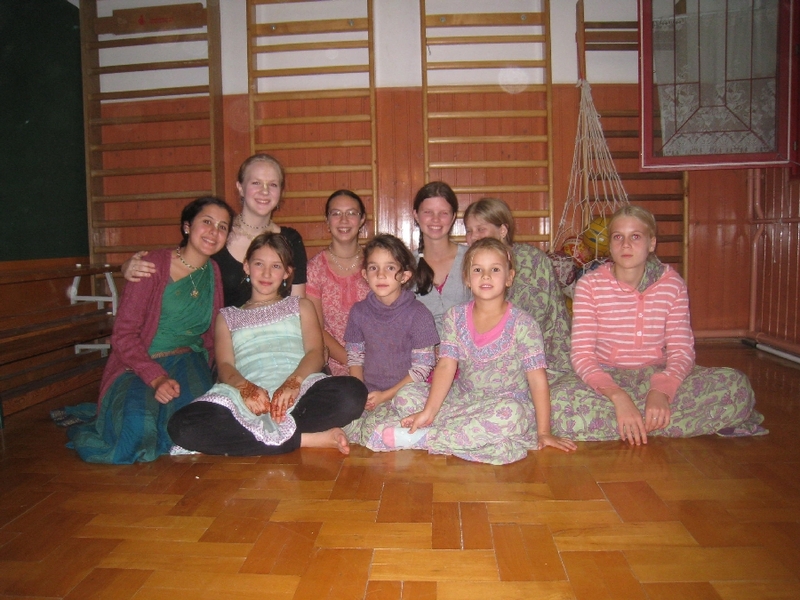 In this community people follow the same concept of Vedic culture and engage in work as administrators, kindergarten and school teachers, cooks in the community building, or in the small works, or they work in the garden and cowshed, and some do service for the wonderful deities of the community, Radha and Syamasundara. Thus everybody is “employed” and participates in the activities of the community according to their nature and skills. In the afternoon we took a walk around the garden, where there are many greenhouses. The head gardener explained the seasonal dynamics of the garden work, where all of the work of the growing season is done from March/April until November. In the winter months they use vegetables like potatoes, cabbage and pumpkins, which can be stored until next spring. In the greenhouses they grow herbs like parsley and coriander, very popular in vegetarian cooking. They even have a greenhouse with a furnace to keep the newly grown sprouts in warm conditions. After the garden we visited the community’s cellar. Inside it was very cool and not at all humid, due to the effectively designed air circulation. He explained that it is very important to have a bank of good quality seeds, because today it is not so easy to find organic seeds on the market. After visiting the garden we also visited the guesthouse and the community’s kindergarten, to see what do the houses look like from the inside. None of the residential houses have electricity from the grid, but they all use sonar panels for lighting. The houses are equipped with large wood burners, which keep the rooms warm during cold winter months. 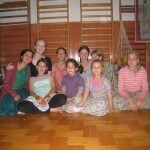 The same evening we heard another presentation by László Kissimon about youth education in this eco-village. He presented the community’s system of inviting people to come and visit the community as part of a two-day seminar, a weekly seminar or a two-months educational program. 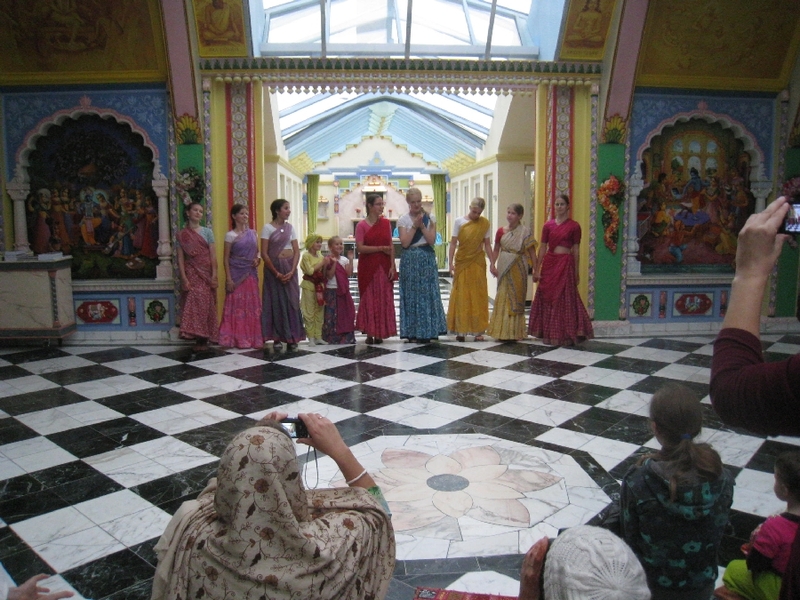 Visitors can learn about gardening, community service, and they are taught about the principles of Vedic culture and relationships within a community where the main emphasis is laid on respect for each other. On the last day of the meeting we listened to a presentation about the third pillar of sustainability – the economic pillar. Sándor Gömöri, the chief accountant of the community, gave the presentation. His speech was very impressive as he explained the principles of community income and outgoings, which obviously need to be kept in balance in spite of all unpredicted costs. Innovative ideas and projects are carefully analyzed like real business ventures, where the goals are of course not only profit but also the general wellbeing of the community members. In the afternoon Lara Orlic from Belgium gave a presentation about volunteers in spiritual communities, where she introduced different websites used by both volunteers and hosts. She compared the modern society with many civilizations in the past that could not reach the level of sustainability because of too much greed, nature exploitation and competition among leaders. The only ancient civilization that survived through many centuries is the Vedic civilization, because the basis of this civilization is simple village life and the importance of religious functions within village community. 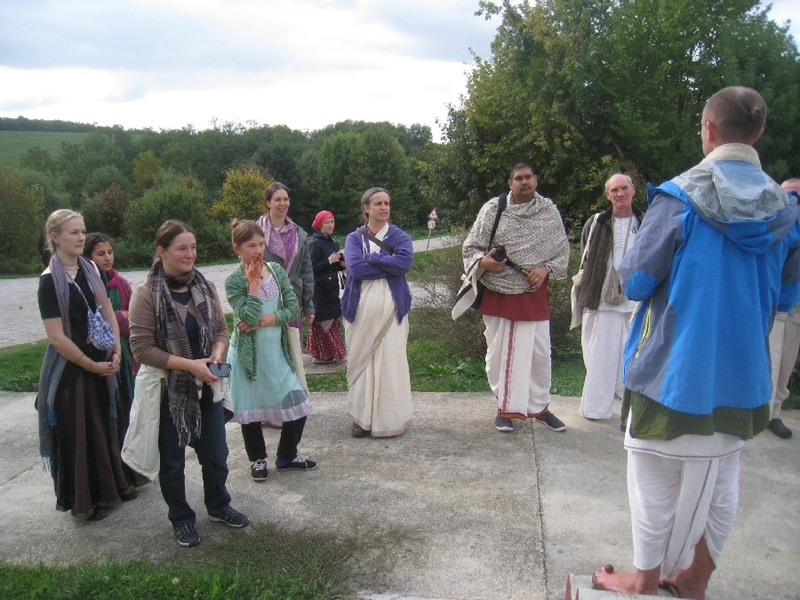 Several modern eco-villages in Europe can provide a glimpse of what Vedic culture is all about, where many solutions for modern lifestyle problems are being studied and practiced. 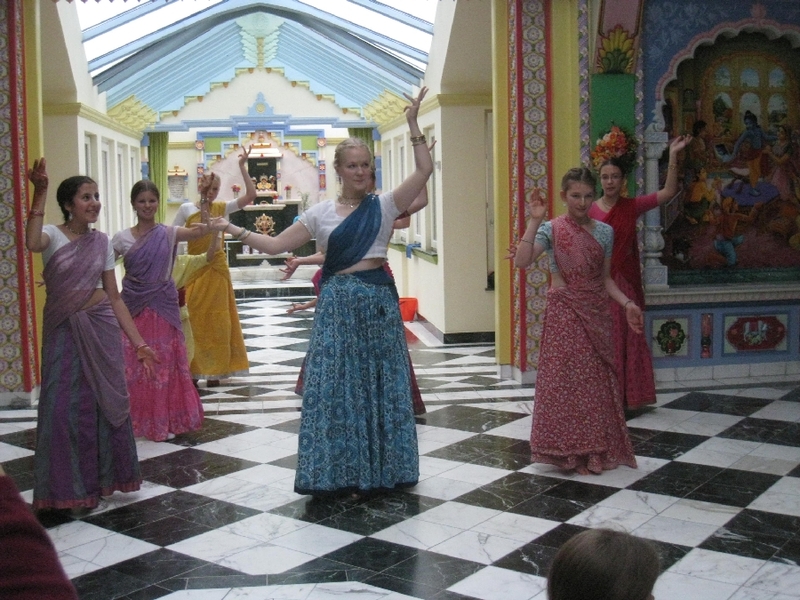 The meeting ended with a nice dance performance of Swedish and local youth girls from Hungary.